I first met author Terry Shames in October 2015 at the Raleigh Bouchercon. Talk about being at the right place at the right time, I was gathering together some authors and readers to go to a dinner I'd planned for favorite authors Elly Griffiths/Domenica de Rosa and Anne Cleeland. I had already been extremely fortunate that I'd talked to another favorite author, Rhys Bowen and her husband earlier that day, and they were attending the dinner, too. Add to that author Jonathan Moore and publicist Katrina Kruse, and we had a stellar lineup for a fan dinner. Then, Terry was there, and I asked her to join us. Oh, fortuitous day that Terry accepted the dinner invitation, because I learned about Samuel Craddock, the series that I read as one of my catch-up series read in January and February, following that Bouchercon. I could not read the series fast enough. 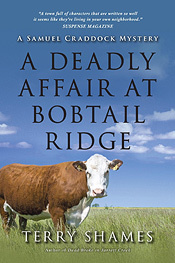 I fell in love with Samuel Craddock, the former Police Chief of Jarrett Creek, Texas, who is a widower and a gentleman farmer of sorts, with his treasured small herd of cattle. 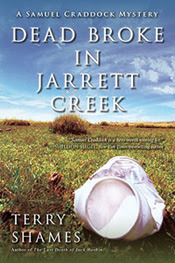 And, Jarrett, with its small town charm and big time secrets came alive for me, too, and I looked forward in each new book to the minor characters populating the stories, as well as Samuel himself. 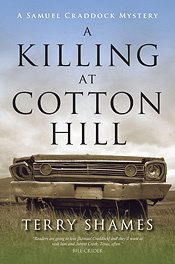 In the first book, A Killing at Cotton Hill, Samuel is drawn back into the pursuit of justice when an old friend is murdered, and the current Police Chief is more concerned with his next drink than finding out who actually killed Dora Lee Parjeter. So begins Samuel Craddock returning to the law enforcement and justice seeking role he had retired from, his reputation preceding him as "the best lawman Jarrett Creek ever had." Of course, every story has to start somewhere. The series starts when Samuel's beloved wife Jeanne had died from cancer several months prior and when Samuel is in his early 60s. He is no longer police chief of Jarrett Creek and at rather loose ends as to where his life will lead him at this point. And, as the books progress and we readers couldn't be any happier with this amazing lead character of Samuel Craddock, there does exist a niggling wonder about the young Samuel Craddock and how he became the purveyor of justice for all. 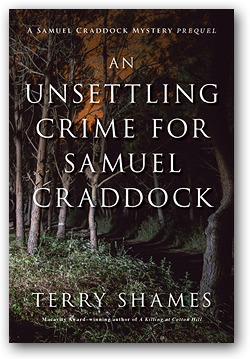 Now, Terry Shames, in all her brilliance, has given readers the gift of An Unsettling Crime for Samuel Craddock, where Samuel has just become the new Chief of Police for Jarrett Creek, Texas. It is the young Samuel Craddock, who has served in the Air Force, graduated from Texas A&M (with a degree in geology), and married the love of his life, Jeanne. Being elected the Chief of Police has given this young man a purpose, a direction when he was wondering what direction to take. And, yet, he still has to determine just what shape his new role as Police Chief will take. A tragic fire on the edge of town reveals the death of five young black people, but they all were shot before the fire consumed them. 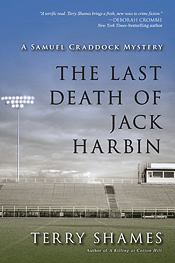 So, it is a case of multiple murders with which the new Police Chief Craddock is faced. However, there is a matter of what law enforcement agency is to be tasked with the investigation and pursuit of justice. Will the Texas Rangers, the Highway Patrol, or the Jarrett Creek Police Department get the case? 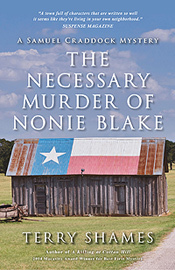 In Texas, it is the Highway Patrol who investigates suspicious deaths in small towns, unless the Texas Rangers are asked to step in, and the Highway Patrol takes charge of this one. Unfortunately, in this instance the Highway Patrolman who will be leading the investigation is a racist, who is looking to close the case quickly, with a dearth of effort and evidence. The suspect that John Sutherland, the head investigator, latches onto happens to be someone with whom Samuel is familiar, the man who helped him set up his new cattle herd, Truly Bennett. It's not surprising that Sutherland's attentions landed on a young black man to arrest and charge with the crime. Now, Samuel Craddock must decide what his role is going to be in serving his community as its law enforcement presence. Does he stay out of it, as he has been ordered to do by Sutherland, or does he do his own investigation into what really happened and who is to blame. 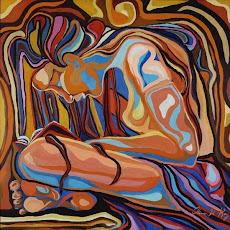 Since, we readers already admire the ethics of Samuel and his tenacious determination to see that justice is the goal, it comes as no surprise the path Samuel chooses and that it will be a dangerous one. Our Samuel is not going to be satisfied with anything but the truth, and he definitely isn't going to let racism win the day. This story is both a visit to the past where the division of loyalties and different justices for people of color are often way too evident. And, it is a timely story, reminding us how in today's world, injustice and rush to judgement for people of color are extant. An Unsettling Crime for Samuel Craddock is, as I mentioned earlier, a gift to fans of this amazing series. All the past that is alluded to in the previous five books comes vividly to life. Samuel's mother and brother are there, along with the nephew Samuel and his wife Jeanne adore. The art collection that is important to Samuel because he and Jeanne collected it together, in the beginning collected by Jeanne, is there in its inception. Even Samuel's inaugural cow herd and the peace he finds in its presence is there. And, of course, Samuel's love for Jeanne is there, with all its sweetness and sometimes flaws. Given the backstory to the man whom we've come to admire so much is a testament to author Terry Shames' appreciation for her fans and to her genius in providing great story. Thank you, Terry, for this magnificent gift. Below are the covers for the first five books in the Samuel Craddock series. 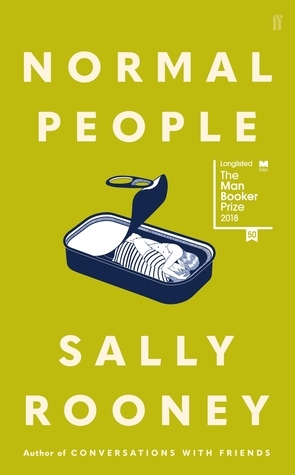 If you haven't read them yet, it will be great to go ahead and read An Unsettling Crime for Samuel Craddock first, but I have no doubt that you will be scrambling to get your hands on these five afterwards. I am envious that anyone gets to read this series for the first time. Enjoy!